School Board members serve a 3 year term. The appointment procedure will be held early in the Spring of the school year. Eligibility: Nominees will have served on a School Board Committee or have been involved in the work of the board in a significant way to be eligible for consideration. Nominees should be genuinely interested in supporting the school and willing to work cooperatively with the pastor and principal. Procedure: Current School Board members, the pastor and the principal may recommend a nominee. The slate of recommended nominees will be presented to the pastor for approval. Nominees will be contacted by the School Board President to determine their willingness to serve and asked to fill out a Bio Sheet. The appointed School Board members will be introduced to the school community at the earliest opportunity through written correspondence. The function of a School Board is to establish policy, not to administer the school. Administrative decisions are the responsibility of the principal, in cooperation with the pastor, who seeks to conduct the educational program in terms of established policy. Persons willing to work on the School Board should be genuinely interested in supporting the school and be willing to work cooperatively with the pastor and principal. One must be open to the ideas of others and be able to offer suggestions in an objective manner. Before a person serves on the School Board, he/she should attend the training workshop sponsored by the Diocesan School Office. This annual workshop is to be held in August; Date, location and time to be announced. School Board meetings are usually held every third Tuesday of each month at 5:30p.m. 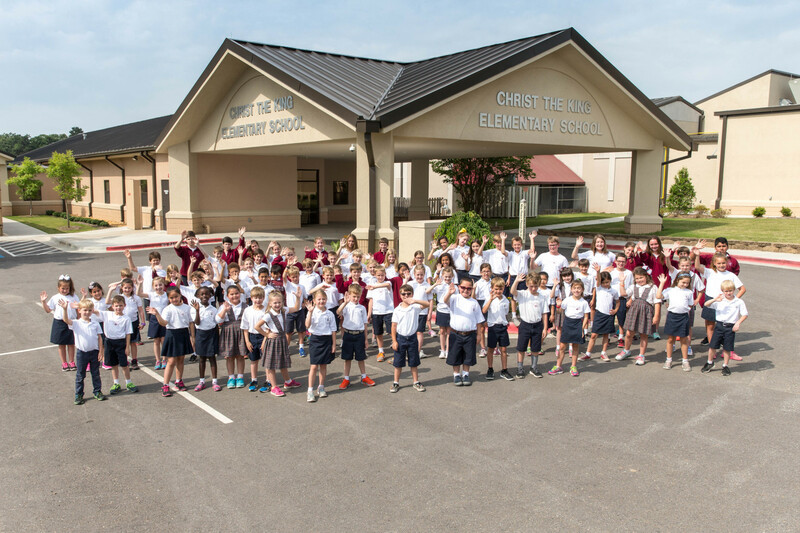 Christ the King Parent-Teacher Organization meets regularly. A notice will be sent home to the parents to inform them of the dates and times of the meetings and the special topics to be discussed for the events scheduled. Parents of children in the school are automatically members; the dues per family are included in book fees. Parents and teachers are urged to attend Parent-Teacher Organization meetings, as they are a means of keeping open lines of communication between the home and the school. All fundraising plans through the PTO are to be submitted to the School Board for review. The Pastor and the Principal have final approval. All other fundraising plans must be submitted to the Director of Fundraising.